The Discounted Lift Tickets page will be updated throughout the 2014-2015 Ski Season, as I run into deals at the Ski Resorts in the area! Right now, you can get some great deals on Season Passes for the 2014-2015 season! Towards the end of this page, I have links to all the Ski Resort Lift Ticket pages. Find out all the scoop on where to get Discounted Lift Tickets in the Truckee and Lake Tahoe area! From Liftopia, to Locals Days, to Skiing for Schools, and other Non Profit Organizations that offer great Truckee Skiing Deals and Lake Tahoe Ski Deals! Tahoe Donner Downhill - Customer Appreciation Day - December 15, 2013 - EVERYONE skis for $5.00! This is a deal that can't be beat!! Diamond Peak - Ski for FREE on Your Birthday - just show your ID! 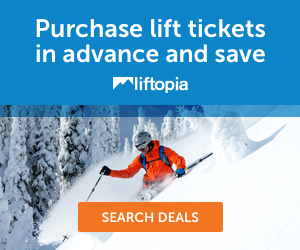 Liftopia sells discount lift tickets, ski rentals, and lessons at over 120 North American ski resorts and is the largest retailer of lift tickets on the web with discounts of up to 70% off at your favorite resorts. This section will be updated as I run into any 2014/2015 dates! Incline Village / Crystal Bay K-12 Kids can ski for $1.00 on School Snow Closure Days at Diamond Peak Ski Resort! Details/Cost: Weekend is geared for beginners, costs just $30 and includes an all-day beginner lift ticket, group lesson and gear rental. Reservations: Not required, but participants should arrive early at the resort of their choice to purchase lesson packages. Participating Resorts: So far, only Alpine Meadows and Squaw Valley have announced their participation for the 2013 weekend. Last year ski resorts participating were: Alpine Meadows, Boreal Mountain Resort, Granlibakken Resort, Homewood Mountain Resort, Northstar California, Squaw Valley USA and Sugar Bowl, so more ski resorts should be announcing their participation soon. The Tahoe Fund, Plates for Powder program is in effect from November 3, 2014 through April 1, 2015. Anyone who purchases a Lake Tahoe License Plate (in either California, or Nevada) is eligible to receive TWO FREE SKI LIFT TICKETS to one of the 13 Truckee/Tahoe area resorts participating in the program. Over 96% of the funds raised through the plate sales go directly to the state agencies, the California Tahoe Conservancy and Nevada Division of State Lands, to fund hiking and biking trails and watershed restoration projects. The Sierra Avalanche Center is a Truckee Non-Profit Organization that is partnered with the Tahoe National Forest. 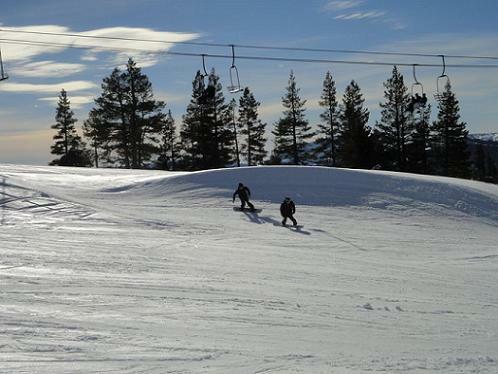 Sierra Avalanche Center (SAC) ski days are SAC's largest fundraising events. Each of the participating ski areas have donated a set number of lift tickets to SAC that are only valid on a specific day. SAC is selling these lift tickets at a discounted price. SAC retains the proceeds from each ticket sale. 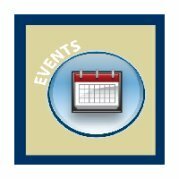 Fundraising from these events makes up the majority of SAC's annual budget. Please support the Sierra Avalanche Center by participating in a SAC ski day. In addition to a day at the ski area, you will have a chance to meet the Avalanche Forecasters, ask questions, purchase t-shirts, and win raffle prizes ranging from backcountry gear to technical clothing. Formal avalanche clinics are not a part of SAC ski days, but feel free to ask the forecasters as many questions as you wish. Tickets can usually be purchased from the Sierra Avalanche Center Website sometime in December. On selected days, participating Tahoe Ski Resorts are offering skiers and snowboarders special discounted lift tickets and the opportunity to support education. The proceeds from your lift ticket purchase go directly to the Tahoe Truckee Excellence in Education Foundation, a Truckee Non-Profit Organization which provides enhanced educational opportunities for our local students. Unless otherwise noted, purchase tickets one week in advance at Porters Sports locations (Truckee and Tahoe City) for the Skiing for Schools dates. A limited supply of tickets are sold on a first-come, first-served basis, and will not be available at the resorts the day of the event. Check and cash are preferred form of payment at Porters. Tickets are not refundable. 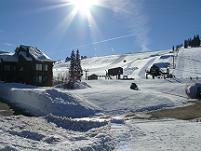 Sugar Bowl -Saturday - Friday, December 14 - 20, 2013 - $35 lift tickets valid any one day from December 14 - 20. Purchase tickets the week prior to the valid period at Porters in Truckee or Tahoe Dave's. Tahoe Donner Cross Country - Sunday - Friday, January 5-10, 2014 - $15 trail passes valid any one day from January 5 -10, 2014. Purchase trail passes the week prior at Paco's in Truckee or Alpenglow in Tahoe City. Homewood - Sunday - Friday, January 12 - 17, 2014 - $35 lift tickets valid any one day from January 12 -17, 2014. Purchase tickets the week prior to the valid period at Porters in Truckee or Tahoe Dave's. Tahoe Cross County - Sunday - Friday, January 26-31 - $15 trail passes valid any one day from TBD. Purchases trail passes in advance at Paco's in Truckee or Alpenglow in Tahoe City. Tahoe Donner Ski Area - Sunday - Friday, January 26 - January 31, 2014 - $25 lift tickets valid any one day from January 26 - January 31, 2014. Purchase tickets the week prior at Porters Sports or Tahoe Dave's. 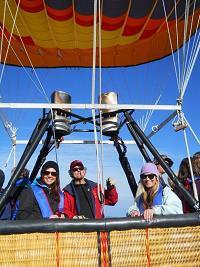 Royal Gorge - Saturday - Friday March 1-7, 2014 - $15 trail passes valid any one day from March 1-7, 2014. Purchase trail passes the week in advance at Paco's in Truckee or Alpenglow in Tahoe City. Sugar Bowl - Saturday - Friday, March 22 - 28, 2014 - $35 lift tickets valid any one day from March 22 - 28, 2013. Purchase tickets the week prior at Porters Sports or Tahoe Dave's. Squaw Valley USA and Alpine Meadows - Sunday, April 6, 2014 to end of the season - $35 lift tickets valid any one day at either resort. Purchase tickets in advance at Porters Sports in Truckee or Tahoe Dave's. 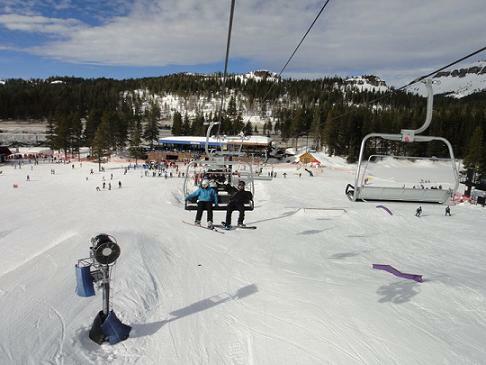 Northstar - February 2-7, 2014 - $40 lift tickets valid any one day. Purchase tickets the week prior to the valid period at Porters in Truckee or Tahoe Dave's. 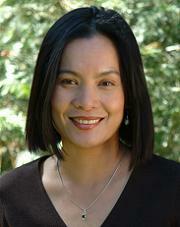 For more information, see the Tahoe Truckee Excellence in Education Foundation website or, please call (530) 550-7984. Photo Credit: Ben Wiesner of Tahoe City - used with his permission. SnowBomb's 2013/14 Platinum Card is available now for $150.00. With an annual membership to SnowBomb, you'll get FREE LIFT TICKETS to 4 Great Resorts. You'll also get FREE RENTALS and TUNE UPS and other discount deals from shops and resorts around Tahoe and the Bay Area. What does a 2013/14 Platinum Card give you? FREE rentals, tune-ups and waxes at multiple shops from San Francisco to Reno. More deals will be added - Lots of Lift Ticket Discounts TBA!! To find out more details and to purchase your Snowbomb Platinum Card visit the Snowbomb website. 300 Passes go on sale the first week of September! You can find more details at the Tahoe Truckee Community Foundation website, or by calling (530) 587-1776. 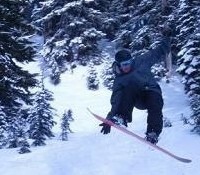 If you are a frequent skier, a season pass is usually the way to go. Each of the Ski Resorts offer some great season pass and other deals, often discounts (or free) for Military, College Students, Groups, Corporate Deals, and Kids on Snow Days! Here are the links to the different Ski Season Pass & Resort Deal Pages, so you can check out the deals at your favorite Ski Resort. Alpine Meadows - Check out the Tahoe Super Pass - a Combined Squaw Valley/Alpine Meadows Pass! Heavenly Mountain Resort - Look for Details on the Tahoe Local Pass - with access to Heavenly, Kirkwood, and Northstar! Kirkwood Mountain Resort - Look for Details on the Tahoe Local Pass - with access to Heavenly, Kirkwood, and Northstar! 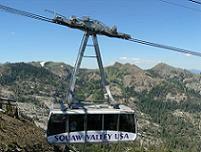 Squaw Valley - Check out the Tahoe Super Pass - a Combined Squaw Valley/Alpine Meadows Pass! Tahoe Donner Downhill - They have some fantastic rates for groups of twenty or more. 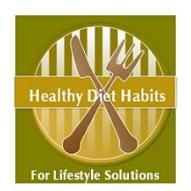 Also, check out their Events & Deal section.